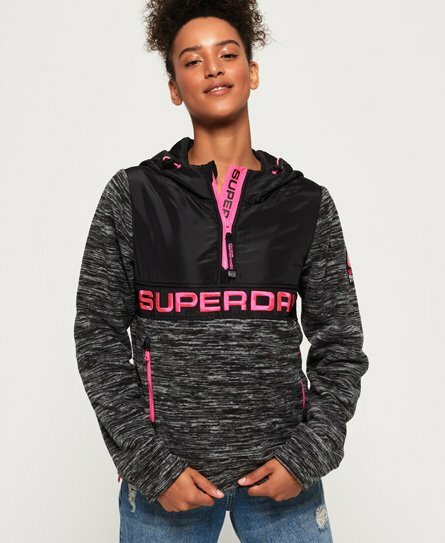 Superdry women’s Storm hybrid overhead hoodie. This hoodie is the perfect layering piece, featuring fleece sleeves and body with zip side panels and a bungee cord hood. The Storm hybrid overhead hoodie also features a Superdry logo on the placket, two zip pockets to hold your belongings and a Superdry logo embroidered on the shoulder. This hoodie has been inspired by mountaineering, making it the perfect transitional jacket for the colder seasons.